Shri PP Rao was a doyen of constitutional law and one of the most respected senior advocates of the Supreme Court Bar. He commanded the respect of one and all. The quality which distinguished Sir from any other person was his humility, his respect towards one and all, and his humane gesture. Even though he was a person of very high stature, he lived a simple life. He was a professor of law in the prestigious Law Faculty of Delhi University from 1961 to 1967. In 1963, he came in contact with the late Shri NC Chatterjee, senior advocate, Supreme Court, and Member of Parliament. He was introduced to Shri Chatterjee by his mentor and teacher Shri R. Vasudev Pillai (senior advocate). He used to do research for Shri Chatterjee’s articles etc. Both of them had written a book Emergency and Law, published by Asia Publishing House, New York. 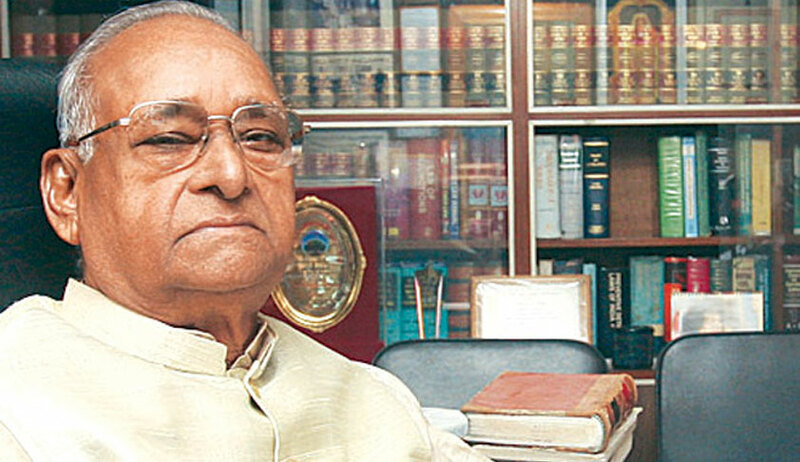 In 1967, he enrolled himself at the Bar Council of Delhi and started his law practice under the aegis of Shri. NC Chatterjee. Thereafter, he became an Advocate –On-Record in the year 1969. Before he was designated as senior advocate by the Supreme Court in August 1976, he worked as the Advocate –On-Record for the state of Andhra Pradesh and Junior Standing Counsel for the Union of India. During his days as Advocate-On-Record, he had assisted legal stalwarts like MC Setalvad, CK Daphtary, Niren De, Ashoke Sen, LN Sinha, etc. He had appeared as an Advocate-On-Record for the State of Andhra Pradesh in the famous Keshavananda Bharati case. He had assisted Niren De in several important matters like the ADM Jabalpur (Habeas Corpus case), Smt Indira Gandhi’s challenge to election in Lok Sabha before the Allahabad High Court and the Supreme Court. His journey as a senior advocate was nothing less than exemplary. He had argued several important matters which had helped in the evolution of jurisprudence and constitutional law in our country. His style of preparation of cases was totally different. His practice was to read cover to cover. He called it as a ‘manufacturing defect’. He always tried to identify the weak areas in each and every case and, thereafter work on it. It was tough to match his working style, but not impossible. He had a photographic memory. There is no book in the library; bet it be SCC or SCR or some autobiographies, in which he had not marked the important portions with a pencil. His way of arguing before the court was totally different from what we see today. He was patient, thorough and seldom did he lose his temper. Every line which he said was with conviction. Watching him from the chair next to him was a privilege and it’s a treasure of each one of our lives. I joined the chamber of Shri Rao in December 2013. His working hours were very stiff. He used work very hard himself and had expected every junior to work shoulder to shoulder. He had told me on the very first day itself, “Swarnendu, time is very precious, never waste it, utilize every bit of it.’’ I still remember those words which are like words from our holy texts. My immediate seniors in the chamber had helped me a lot. Working with him was a pleasure. There are a few memorable instances where I had the opportunity to assist him directly. First one was a matter relating to Section 10F of the Companies Act, 1956. The cause title of the reported judgment is Purnima Manathena vs. Renuka Datla (2016) 1 SCC 237. That was probably the first time he gave me a free hand to draft submissions to be placed before the court. He corrected them but not before appreciating the same. The second one was a matter concerning the interpretation of SICA, 1985, before the Jharkhand High Court, where I got the opportunity to travel with him and prepare a case directly. The third one was a matter concerning parliamentary privilege and contempt on the face of the House. Last but not the least, was the opportunity to work with him in several matters, including the entry tax (nine-judge bench) matter last year, when he had led the arguments on behalf of states of Madhya Pradesh and Andhra Pradesh. In fact, the concepts of constitutional law and public laws, which I learnt from him, are the biggest treasures of my life. He always used to take care of all the juniors and staff in his office, be it evening snacks, tea, even lunch or dinner. He used to celebrate our birthdays in the office. He took care of the interns too. He was a teacher first and then a senior. He never treated anyone like a subordinate officer. He believed in justice. The office staff - Shri Mani and Shri Nair, the two pillars for Shri Rao, stood with him for the last three decades and even now. Sir’s heart bled for the poor. He always advocated for the poor and even during his last days he fought for the Supreme Court Employees Union in a matter which is still sub-judice. He was our kind-hearted Sir, who listened to each and everyone and tried to help as far as possible. Sir, we will miss you and but we know you are there somewhere in our hearts to guide us. Swarnendu Chatterjee were the Chamber Junior of Late Shri PP Rao.